Ted Rabinowitz' Blog for All Things Nerdy, including "The Wrong Sword," "Conjure Man," and "Hero's Army." Yes, there was an explosion. No, I didn't see it. It was two miles away. No one was killed. Thank God. Yes, it was a bomb set by some inbred POS. His highest achievement in life was to use Internet instructions to build an IED out of a pressure cooker. That is all he ever contributed to this world, and all he ever will contribute - because he showed up on video cameras, and he will not be able to hide. And tomorrow I will go out and take care of my business, because this is New York City. And unlike Kansas, Louisiana, and Tennessee, where they piss themselves about ISIS and shriek about Mexicans and pass laws about sharia *without having to face terror themselves* - I know that the appropriate response is to go out, deal with my fellow citizens, and let the cops find that one devolved shitstain who thought this was good idea. Because that's what people do when they're adults, and not shrieking baboons. There is no such thing as healthy pizza. All pizza is loaded with grease, fat, salt, and carbohydrates. To eat pizza that isn't also delicious is a terrible waste. The kind of oven doesn't matter. California Pizza Kitchen isn't the only reason New Yorkers hate Los Angeles; but it is the best reason. 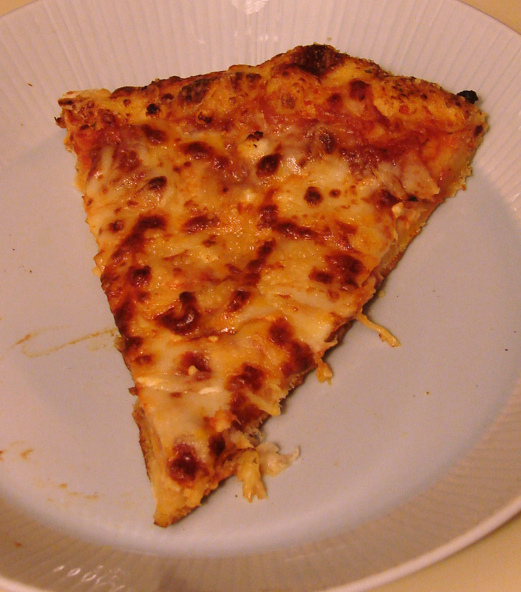 If you're going to have a test pizza, it should be a plain cheese slice. If they can't get that right, no amount of toppings will fix things. Salt! There should be a little in the cheese and in the crust. Calzone is paranoid pizza - you can't actually tell what's inside that dough until you bite...and then it's too late. Plastic utensils were invented specifically to prevent meatheads from trying to eat pizza with a knife and fork. 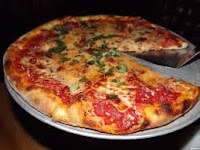 Good Brooklyn pizza tends to have a crust that's a little sweeter than Manhattan pizza. Alas, Manhattan pizza tends to be less flavorful. The age of the establishment has little to do with the quality of the pizza. Just ask them at [name redacted]. 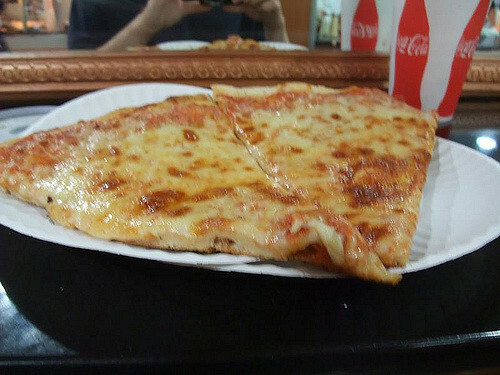 The best slice I've had since I came back to New York cost five bucks; it came with a second slice and a can of soda. 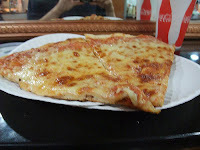 As of three years ago, La Lanterna had a pretty good Pizza Margherita; also Pino's in Brooklyn (although the crust is too thin there). I know people who swear by John's pizza...but they are still my friends. You've found The Wrong Sword Blog, the blog for all things Ted Rabinowitz. That includes my medieval fantasy series, The Wrong Sword (now out from Aigrefin Press) and its projected sequels Hero's Army and City of Brass. It's also where you'll find notice of my other works in progress (like Conjure Man, an urban fantasy with airships, blood sacrifice, and spoiled rich kids) and answers to the questions of life, the Universe, and everything. NORTHERN EXPOSURE - "Manhattan Project"
BUFFY THE VAMPIRE SLAYER - "Water Boy"
STAR TREK: DEEP SPACE NINE - "Secret Recipes"
Hey, Kids! What Time Is It? The Wrong Sword is out now!